Flowerama is the Westerville florist. Located at the corner of State St. and Schrock Rd., Flowerama has been delivering flowers in Westerville since 1996. Winner of the best flower shop in Westerville as well as the Consumers Choice award winner, Flowerama is known as the go to flower shop in Westerville. 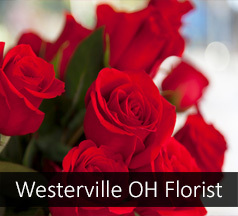 Flowerama's signature arrangement for Westerville is "Wonderful Westerville". We offer same day and express delivery options and are open 7 days a week 362 days of the year. We are proud to call Westerville home, so stop in or shop our website either way we promise a great experience.